Remember back in October when I told you about a creative burst, the Dirty Dozen Grocery Tote? 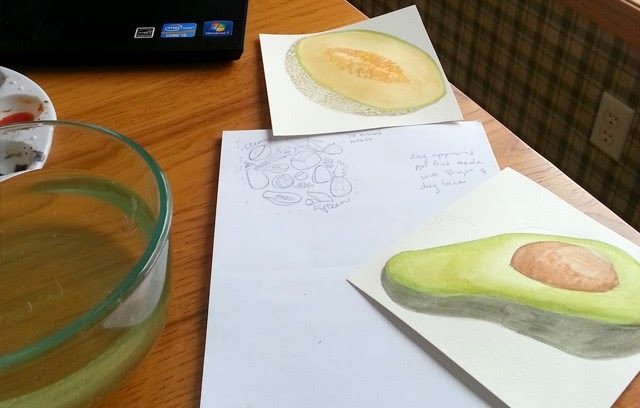 Well, the watercolors are back. 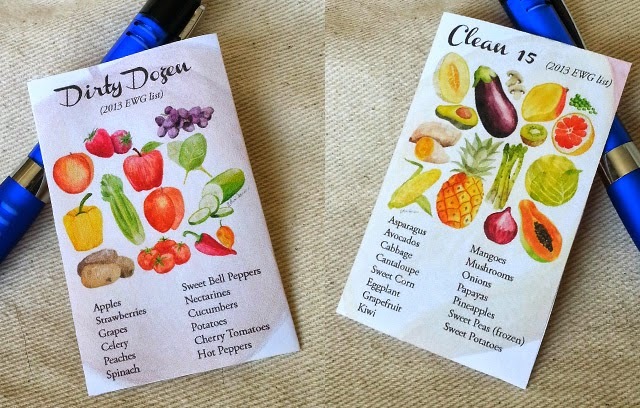 Since we're not yet in farmer's market season, it was time to create the complement to the "Dirty Dozen" list and illustrate the "Clean 15" list. That way, when you're at the standard grocery store with limited organic options, you know which fruits + vegetables to heads towards with a clear [meaning low pesticide residue] conscience. You can purchase your own Clean 15 Budget Tote from my Zazzle store, or print a wallet guide [shown at top] from my Etsy shop. These are adorable! What a great idea. =) I didn't know you were such a talented painter!